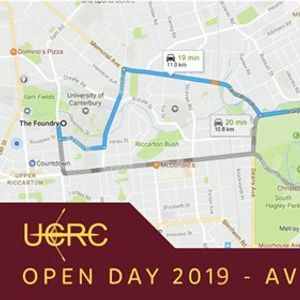 Open day is soon to be upon us so drag your tired bodies out of bed, seize the day, and get along to Kerrs Reach at 2.30pm to give rowing a crack and hoon in to some snags fresh of the barbie! Make sure to wear some comfortable activewear, something warm to chuck on if it's cold, and to bring a bottle of water. If you need a ride out or just want to meet a whole bunch of cool people come to the foundry carpark at 2:00; if you have a car and are able to help out with car pooling it would be super appreciated - we run on community spirit and car pooling is a great way to meet the people you're going to be getting razzed up with throughout the season! Remember, don't fret if you can't make it today, we'll let ya know when we start training so you won't miss out out! Get fizzing because you will not regret signing up for UCRC after this! !